Start your day off right with our Day Lotion, specially formulated for combination skin! 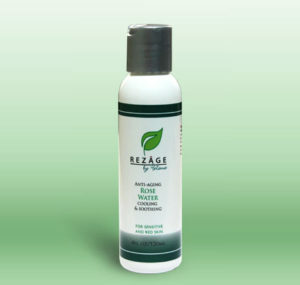 Our day lotion leaves no oily residue, and is a great base for any makeup application. It is incredibly moisturizing and has an SPF of 16 that will keep your skin safe from the sun all day long, without any clogging. Apply liberally onto your skin in the morning. Spread evenly, rubbing the crème gently into your skin. Stop usage if any irritation develops. Keep out of reach of children. Beta-Glucan (Oat-derived polysaccharide, anti-age stimulates collagen production) Beta Glucan helps protect aging skin from immune dysfunction, and aids in overall dermatological health and wound healing. Several studies have shown that the use of a beta glucan cream can help hydrate the skin, improve firmness, skin color, and elasticity; while also helping to diminish lines and wrinkles. a natural preservative, anti-oxidant and moisturizer. It reduces trans-dermal water loss and helps maintain connective tissue. It is effective as a natural defense against harmful UV rays, preventing hyper-pigmentation and sun damage. Vitamin E is used in all kinds of cosmetic products and is taken as vitamin supplements for skin care, hair care and cell generation.